JOHANNESBURG, South Africa, September 27, 2016 (ENS) – Namibia, South Africa and Zimbabwe’s proposal for approval of future legal trade in ivory was rejected by the majority of governments at the CITES conference, led by outspoken opponents Burkina Faso, Kenya, Republic of Congo and Chad. 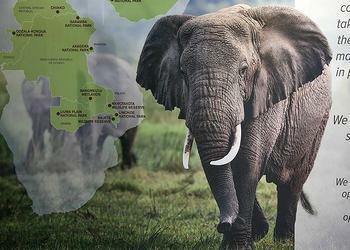 Negotiations over the plight of elephants began in controversial style Monday at the 17th Conference of the Parties, Cop17, of the Convention on International Trade in Endangered Species, CITES, taking place in Johannesburg. A proposal from the Secretariat to extend the mandate to the CITES Standing Committee to continue the debate on a Decision-Making Mechanism, DMM, enabling legal ivory trade failed to achieve the required two-thirds majority. The mandate for negotiation was renewed at CITES CoP16 in 2013, and a Decision-Making Mechanism Working Group established. Yet, despite extensive debate, no progress has been made to date on establishing such a mechanism. “If this mandate is not extended, it will die, it will be moribund,” said Jonathan Barzdo, chair of the Committee discussing the issue. Although the mandate was not extended Monday evening, the issue can be revived in the plenary sessions next week, but the mood among the delegations seems to be to swinging toward greater protection of elephants. “The surge of feeling among African nations we’re seeing here tonight in the rejection of the Decision-Making Mechanism,” says Keith Lindsay, “is a reaction to what they’ve seen happening in their countries – they’ve seen their elephants being wiped out and it’s time to put a stop to it.” Lindsay is a conservation biologist and project manager with the Environment & Development Group (EDG) in Oxford and a collaborating researcher with the Amboseli Trust for Elephants, based in Nairobi, Kenya. Earlier, a report by the CITES Secretariat for the Monitoring the Illegal Killing of Elephants (MIKE) disputed the findings of a recent paper by the National Bureau of Economic Research (NBER), which finds a clear link between the legal one-off ivory sales that took place in 2008 and the current poaching crisis that has seen a third of Africa’s elephants wiped out. Uganda declared the MIKE report flawed, echoed by both Kenya and the NGOs Humane Society International and the Amboseli Trust for Elephants. They all suggested that the MIKE analysis lacked transparency, consultation and a necessary peer review to make its claims legitimate, and that the authors of the NBER report had in fact answered MIKE’s criticisms. The overall goal of MIKE, according to the CITES website, is to provide information needed for elephant range states to make appropriate management and enforcement decisions. The Israeli delegation says the fact that MIKE won’t recognize the clear link between the one-off sales and the current poaching crisis hampers efforts to effectively combat the scourge. The U.S. delegation noted this with concern and pointed out that the increase in poaching is fast approaching the CITES biological criteria of a decline of 50 percent over three generations, which requires greater protection in the form of a status uplisting for elephants under CITES recommendations. Currently, elephants in South Africa are classified under Appendix II, which provides for the possibility of a regulated trade in ivory. 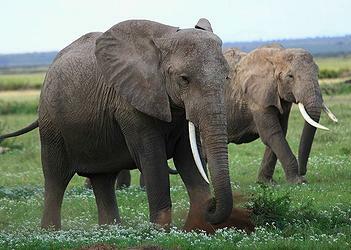 An uplisting to Appendix I would provide the highest standard of protection for elephants, and would send a clear message to markets that all commercial ivory trade is prohibited. — Article produced with the support of the South African nonprofit organization Conservation Action Trust.